contact details should you want to join a team, the match results, league standings and fixtures. Take a look at our sponsors page, as it lists all the companies who support the Bridgwater Skittles League. 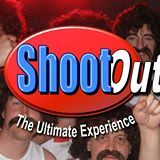 then take a look at Shoot Out the ultimate weekend skittles experience. Visit www.seriousaboutevents.co.uk or click on the logo for more information.